Wal-Mart Stores has announced plans to reformulate thousands of its packaged food products including slashing sodium by 25% and cutting sugars by 10% by 2015. 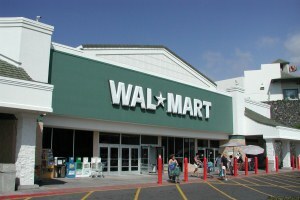 The world’s largest retailer unveiled the plans at an event in Washington yesterday (20 January), attended by Michelle Obama. Wal-Mart said the initiative aims to build on the success of the First Lady’s ‘Let’s Move’ campaign to “make healthy choices more convenient and affordable for families”. Mrs Obama launched the action plan in May last year, which called on US food manufacturers to curb the marketing of unhealthy foods to children. In today’s announcement, Wal-Mart said it would work with suppliers to improve the nutritional quality of national food brands and its own Great Value private-label brand in key product categories to complete the reformulations. “No family should have to choose between food that is healthier for them and food they can afford,” said Bill Simon, president and CEO of Wal-Mart’s US division. “With more than 140m customer visits each week, Walmart is uniquely positioned to make a difference by making food healthier and more affordable to everyone. We are committed to working with suppliers, government and non-governmental organisations to provide solutions that help Americans eat healthier and live a better life. The reformulation plan includes three components: reducing sodium by 25% in a broad range of grocery items, including grain products, luncheon meats, salad dressings and frozen entrees; lowering added sugars by 10% in dairy items, sauces and fruit drinks; and remove all remaining industrially-produced trans fats (partially hydrogenated fats and oils) in all packaged food products. Wal-Mart said it will also take a number of steps to provide customers with savings on fresh produce through a variety of “sourcing, pricing and transportation and logistics initiatives” that will drive efficiencies throughout the supply chain and reduce unnecessary costs. “If we are successful in our efforts to lower prices, we believe we can save Americans who shop at Walmart approximately $1 billion per year on fresh fruit and vegetables,” Andrea Thomas, senior vice president of sustainability at Wal-Mart, said. The retailer has also said it will “dramatically reduce or eliminate” the price premium on “better-for-you” options such as reduced sodium, sugar or fat on products from the same manufacturer. In addition, Wal-Mart is to develop a front-of-package seal to help customers identify healthier food. The seal will be added to its private-label food products that meet certain criteria later this year. Last year, a number of major firms including Kraft Foods, Heinz and Unilever, were named among the signatories to the National Salt Reduction Initiative, a programme launched to cut the level of salt in US packaged and restaurant foods by 25% over five years.